Blank : IP67 rated. Cable for I/O connection. A - Type : IP65 rated. 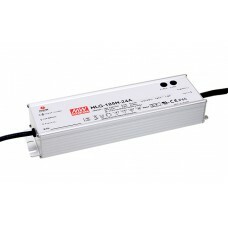 Output voltage and constant current level can be adjusted through internal potentiometer. B - Type : IP67 rated. Constant current level adjustable through output cable with 1 ~ 10Vdc or 10V PWM signal or resistance. D - Type : (option) : IP67 rated. Timer dimming function, contact Peak to Peak for details.